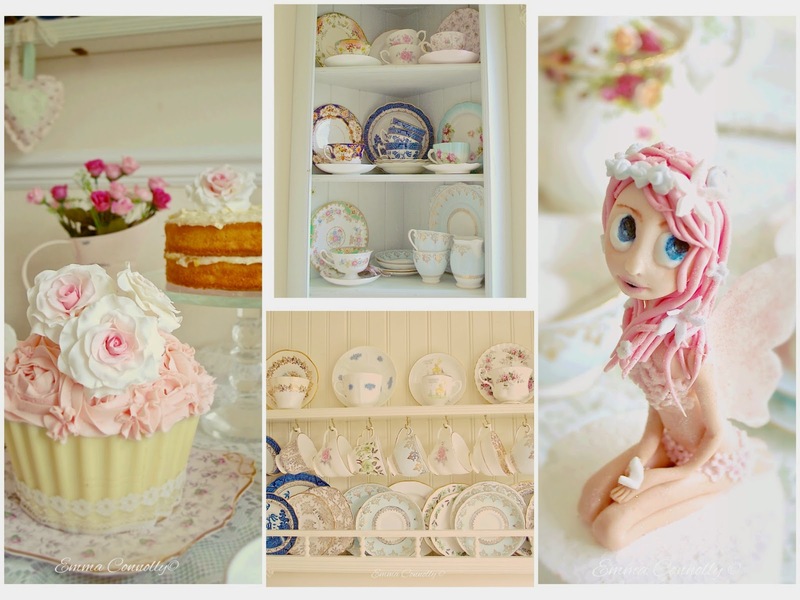 KITCHEN TABLE BUSINESS: Audrey's Little Cakery. 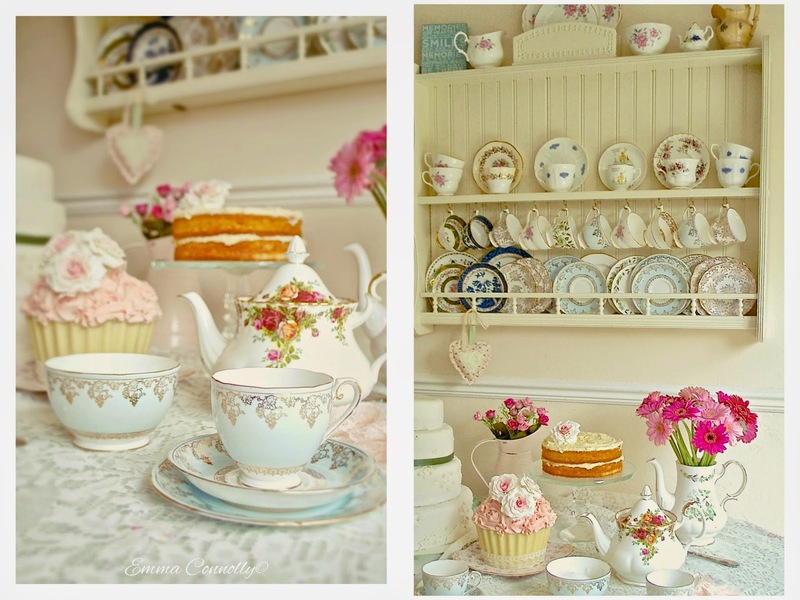 I spent yesterday afternoon with the lovely Lisa from Audrey's Little Cakery. 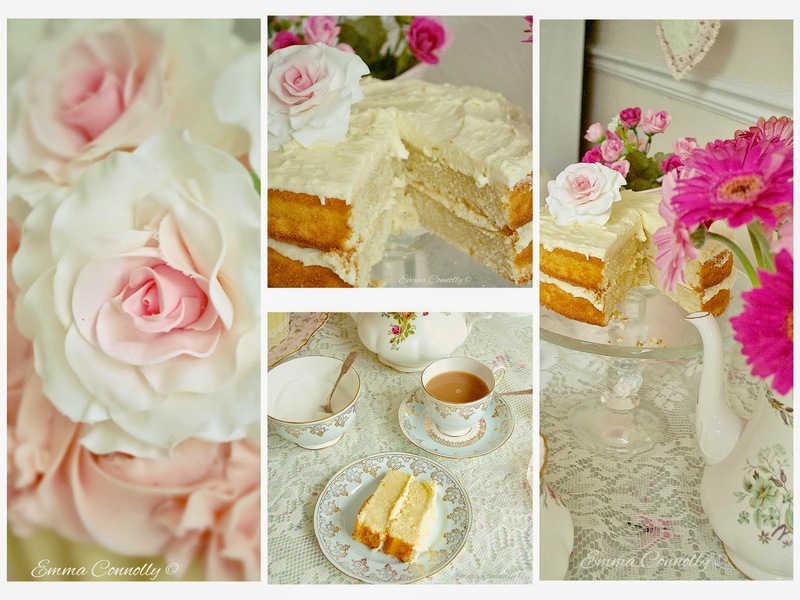 We sat in her lovely vintage kitchen and shared a pot of tea and a slice of lemon cake. This is how Lisa greets all of her brides for their wedding cake consultations. Whilst I happily ate my weight in cake, and snapped away she told me how she set her business up, created her brand and how she juggles family life. Plus she gives advice to others thinking of going into the ever growing business of master baker. What made you start your business? 'I was on maternity with Ava my daughter and just wanted to stay at home with her. Initially I started making cards not cakes, but then my creativity escalated and my sister suggested I should make a business from selling my cakes. It seemed the perfect solution and I got to stay at home with my daughter'. What has been the hardest challenge? 'Getting noticed! There are so many people doing this. You need to stand out and stand your ground with costing. It was hard to get my prices right in the beginning as there are a lot of hobby bakers selling cheaply and I thought if I was more expensive then people wouldn't buy my cakes. I soon learnt that propper costing is key when running a business. It takes time to produce fabulous looking cakes and source the best ingredients to make them with. Lots of my customers have said how hard they had found it finding a cake that tastes as good as it looks and vice versa, this has been my USP. I knew I'd reached this moment when at a wedding fair, a little boy sampled one of my cupcakes and then turned to his mother, and rather loudly announced - that this ladies cakes actually taste really nice, and they are pretty mummy! Haha we all know kids don't lie'! Where do you find inspiration? 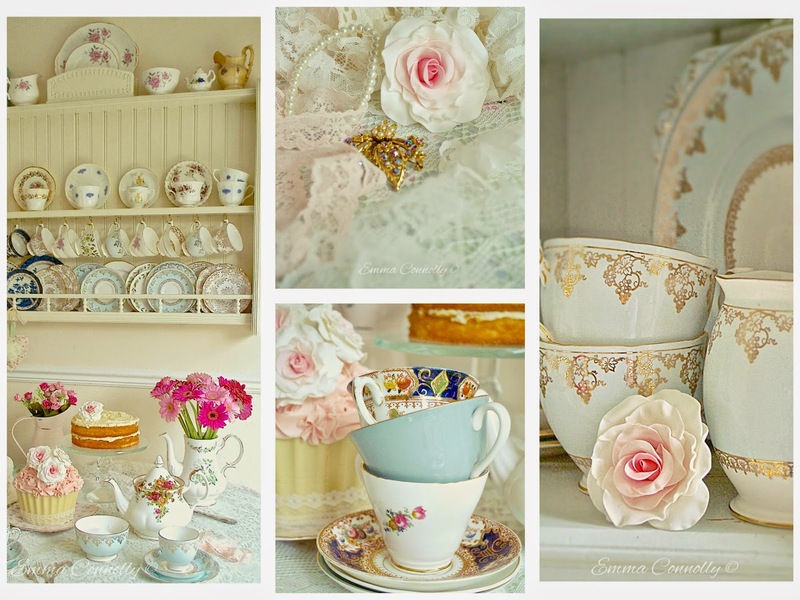 'I love vintage designs and take my inspiration from vintage jewellery, romantic blooms and gorgeous lace. I also love pinterest'. How do you reach out to prospective customers? 'I use facebook and instagram, and I also have a website. Plus I attend lots of wedding fairs'. Which social media network do you find works best for your business? 'Instagram! its amazing for getting your work out there'. How do you manage working from home and juggling family life? 'It is hard. The children are still young so I do most of my work in the evenings when they are in bed. I know this will change when they go to school and I wouldn't have it any other way'. Name one thing you wish you had known when starting up. 'Understanding costing. It took a while to get the time management to costing right, and I realised I had been selling myself short when I worked out the man hours I'd put into making a cake'. What advice would you give for anyone wanting to start a home baking business? Don't under price! It's easy to think it's just cake. But a lot of time and money has gone into them. It's an art! It's not just cake'. The legal stuff... What do you need to do? 'Inform the council and have local hygiene (trading standards) round to inspect the kitchen. You also need to do your food hygiene certificate to grade 2. Inform the tax office that you are now trading as a sole trader'. Start up costs- £300 to £400 I was very lucky as was given a lot of things from my family. What is the best thing about having your own creative business? 'I love working from home, having my family around me and being my own boss'! If you would like to see your business featured on the blog then please get in touch! I hope you all have a lovely week end.